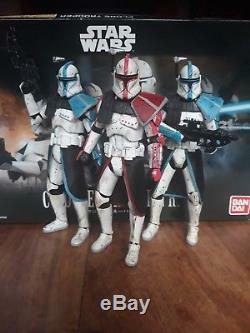 Custom 6 inch Star Wars Captain Fordo and Arc Clone Troopers Munnilist 10 Battle Pack This item has been more specifically made for diorama builders and collectors who love dinamic posing. 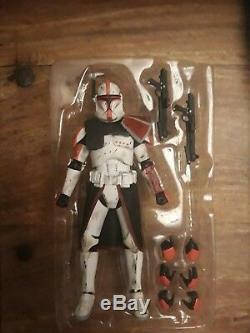 With none hindered factory standard articulation on a Bandai Figuarts Style Clone Troopers phase 2. 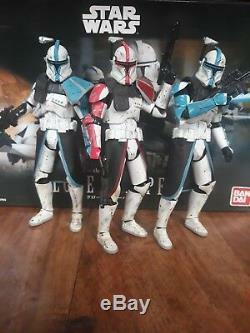 Based on the Clone Troopers seen During the battle of munnilist in the 2003 clone wars animated series and the battle of hypori helping to subdue general greivous and rescue the jedi masters. 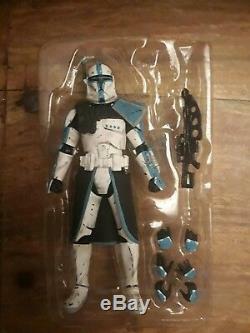 Includes: Captain fordo/ Arc trooper captain ×2 Clone Trooper painted to the style of Arc luitenants Each clone has been customized with combat karma and poldren with a casted arc trooper gauntlet ×2 DC15s Blaster carbines ×2 WESTAR-M5 Blaster Repeater Arc Trooper Rifle For each trooper Selection of all 8 hands orginally designed for figure Grip, Fisted, Loose, Gun weilding/Pointing a left and right for each. 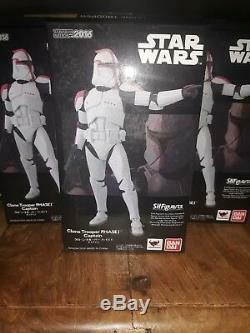 Original SH Figuarts Clone Trooper box and black series obi-wan box. Figure will be re placed in box and resealed with tape Sprayed with varnish to reduce chipping. 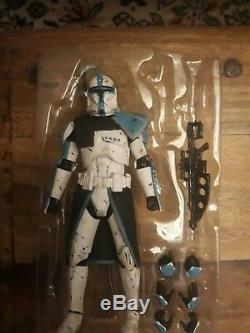 Recomended for collectors as play may cause damage and this is quite a delicate figure. 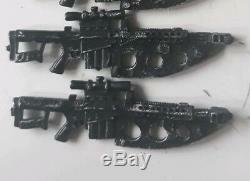 Also to be pointed out slight variations to each individual figure with design paterns, battle damage and weathering as they are all hand painted. All kept as close as possible to the original character tempate used as reference. Minor defects can occur with in the casted parts but will fix as best as possible(if applicable). 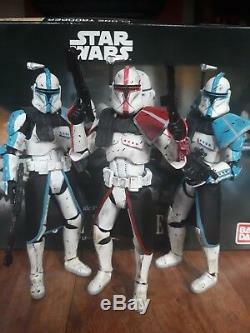 The item "Star Wars Black Series Arc TrooperBattle Pack Figuarts Custom Clone Troopers" is in sale since Saturday, December 29, 2018. This item is in the category "Toys & Games\Action Figures\TV, Movies & Video Games". The seller is "jay-custom-figures" and is located in Sheffield.